I had started feeling slightly more positive last week, but this week hasn't started well. I'd wanted to go for a run yesterday but my IT band was feeling sore near my knee so I thought it best to rest. I'd hoped to go out instead today but if anything it feels worse. I haven't done any leg-related exercise since Thursday so it's pretty frustrating. It might be due to driving on Saturday, I might have to adjust my seat a little. Not much has really happened since last week. Christmas shopping is almost done, Anna wanted to go and see Betrayal starring Tom Hiddleston next year and I managed to get tickets on Friday, so that's her big present sorted. I just need to get the kids to buy presents for Anna and each other now. Now that's it December I guess I can start to get excited about Christmas but I think I hate it more and more every year. Why do people start putting lights up in November (like one house around the corner from us)? I hate the adverts too, I don't think I've ever been persuaded to buy something by a Christmas advert. 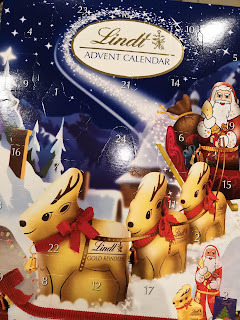 This year I decided to spend more than £1 on an advent calendar and instead got one which contains actual chocolate. Looking forward to the big Santa on Christmas Eve! 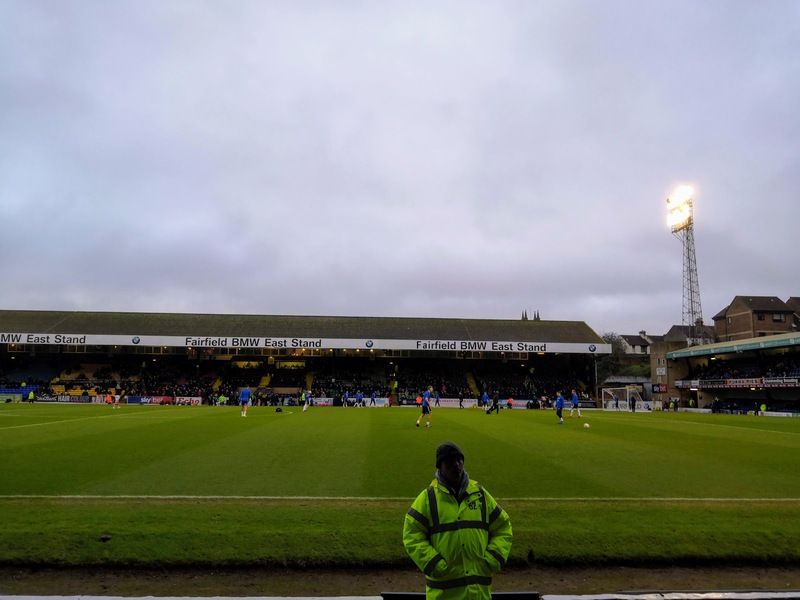 I went with Nicky to watch Southend United vs Barnsley on Saturday. It was the first FA Cup game that either of us had ever been to, and Nicky was dreaming of Wembley even before we got to the ground! Needless to say, getting Cup Final tickets is not something I need to worry about this season! Southend weren't great but should have had an equaliser near the end. 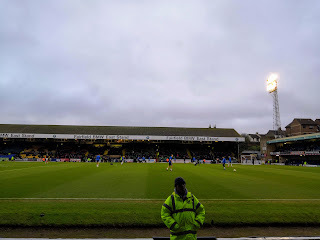 The referee and assistants were dreadful, even compared to the usual poor quality refereeing on offer at Roots Hall this was something else. One day soon Nicky is going to work out all of the words when the crowd start singing "you're just a c*** with a whistle"! I'm about halfway through playing Bayonetta on the Switch and I absolutely love it. It's similar to Ninja Gaiden Black in that it's pretty difficult but when you pull off a combo it is so satisfying! Really looking forward to playing through Bayonetta 2 when I'm done with the first game.